At one of the hackathons we decided to automate our door opening process. It was a pain to do this manually because lots of clients and delivery guys (especially at lunch times) were visiting us. 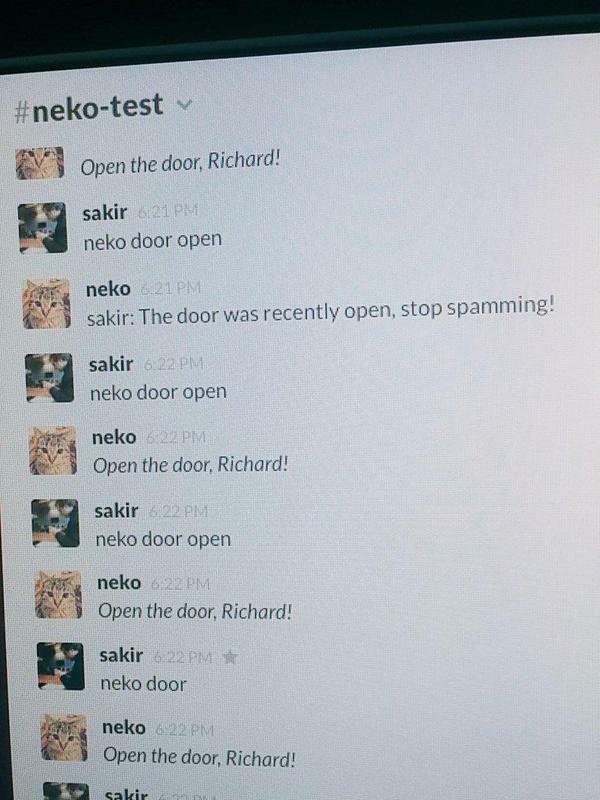 So we have decided to make a door opener that will be controlled by Slack. We settled with the idea, and we had 8 hours to do it! 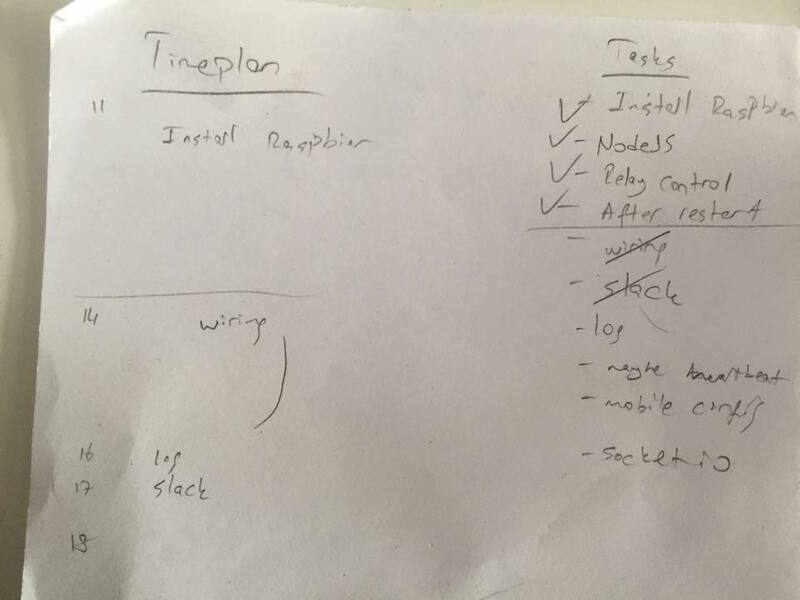 First things first - we needed to make a plan, and since it was a hackathon, we had limited time. Note: I'm using OSX but you can use any operating system - just search equivalent instructions. We have to prepare our RPi to have a running operating system. 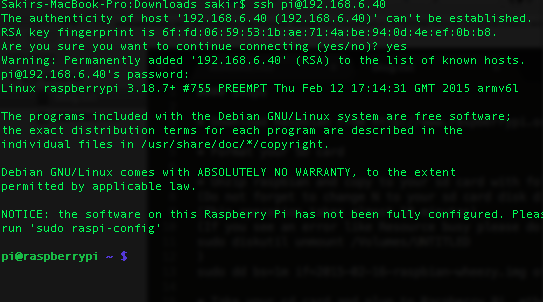 I've decided to use Raspbian. I connected a flash drive to my computer and installed Raspbian with following steps. 3- Obtain the img file from the downloaded file by extracting it. 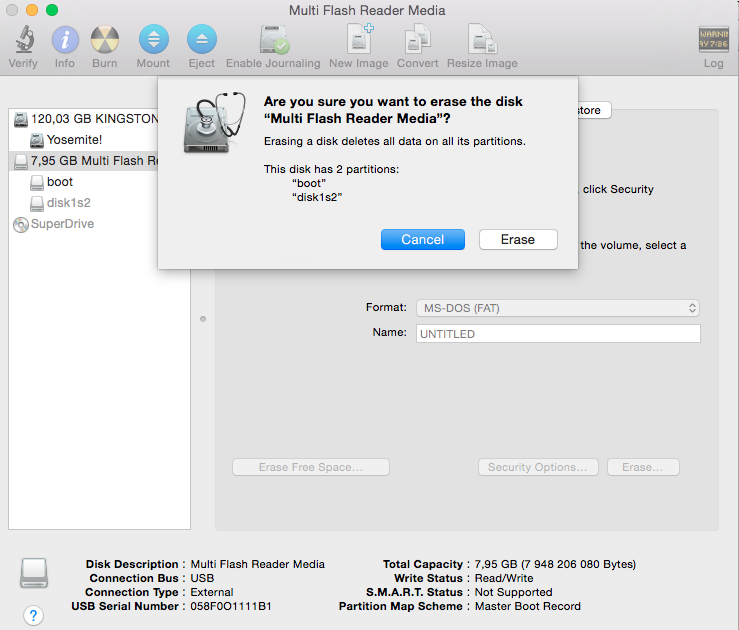 4- Unmount the flash drive from Disk Utility. "sudo dd if=path_of_your_image.img of=/dev/diskN bs=4m"
6- Remove the flash drive from the computer and plug it to Raspberry Pi. 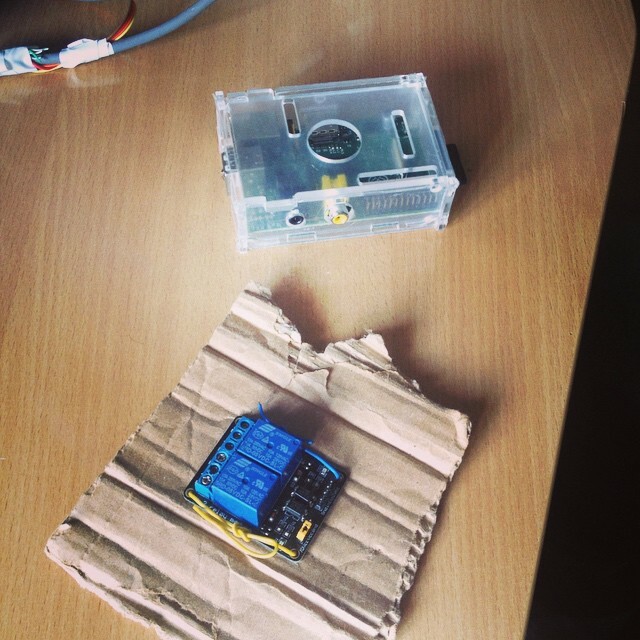 Plug an ethernet cable to Raspberry Pi and power it on. 7- Make sure that Green and Yellow lights are on at RPi. Find RPi's IP address.Change 192.168.6.0 with your network IP, be sure that you and RPi are on the same subnet. This command must give an IP address - if everything is alright. 8- Connect to RPi. Change the IP address with the one you have found at the previous step. Congratulations, first step is done! We have a simple relay circuit - relays are like switches but instead of pressing them we're sending 5Vs to complete the circuit. So 5Vs are our button presses which we are going to send through RPi. 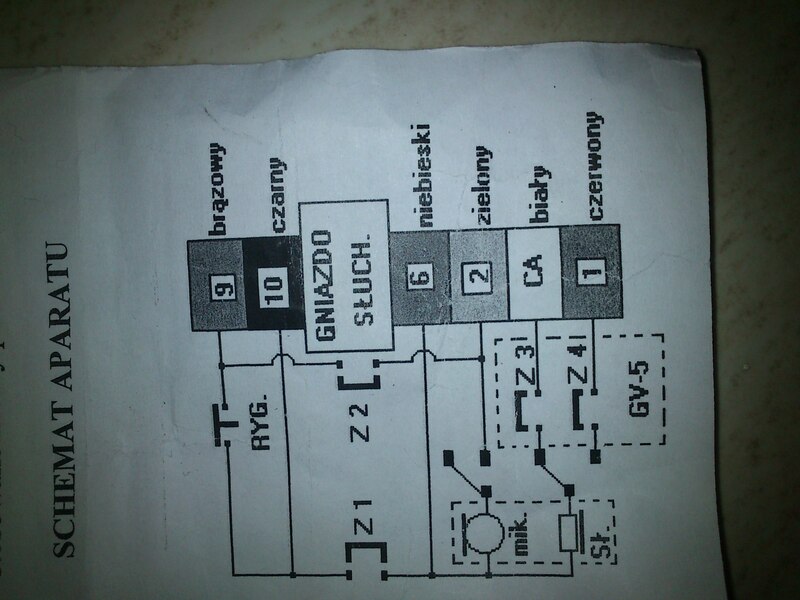 Simple relay circuit should have 4 inputs to the circuit, Ground, 5V, Relay1, Relay2. We already have 5V output, and Ground on our RPi, so just connect them to circuit. To make relay work we have to send a signal, so we'll connect our either Relay1 or Relay2 port to one of RPi's GPIO port. Note: You can try your relay circuit by connecting one of relay ports(R1 or R2) to 5V directly, if you hear a click - it works. Congratulations, second step is done! We have to send the signal programmatically and for that we preferred to use NodeJS. Install required packages. Write the commands below on RPi SSH Session, this will take some time. Now we have NodeJS installed on our RPi. 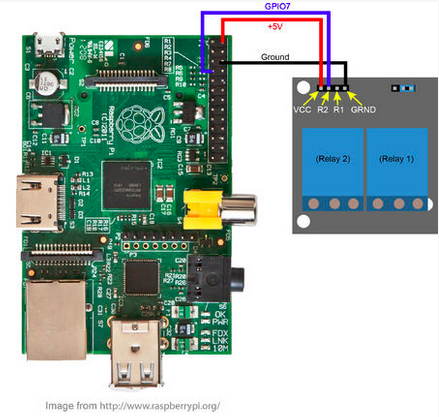 pi-gpio is a NodeJS library to access GPIO ports on RPi. Install it with following commands. Great! Now we can control our GPIO ports on RPi, which means we are able to set a port to have 5V. We choose the GPIO port that we've connected our relay to - thanks to that we will be able to send the signal(because signal for relay means giving 5V to R1/R2 on relay board). Let's try to control our relay programmatically. Create a directory and inside it install pi-gpio's required packages. Now open node console by typing this. You should hear a click sound coming from your relay. If you don't hear it, please check the connections, and pin configuration. Now it's time to invoke our openDoor function from Slack. Connecting our device to Slack is very good, because it is a chat application and has user statuses. By using this we will able to track our device status - whether it is working or it has failed due to some problems. Heartbeat is really good option for IoT devices. Let's create an application that connects to Slack. First you have to create a bot for your door opener. Then install required packages. Create a js file, and put the following code inside it. Do not forget to change the token that you've gathered from your bot. Then run node app.js - you should see 'Welcome to Slack' message, and you also should see your bot on Slack. var token = 'SLACK_TOKEN', // Add a bot at https://my.slack.com/services/new/bot and copy the token here. Now when open message arrives, call openDoor function. It's time to connect our Sesame to the intercom. Ours was Prestige V 456. So when you pressed this grey button, it was simply connecting two cables inside, just like we were going to do with our Relay. Only thing we needed to know was which cables should be connected. We searched Google for intercom circuit and found the scheme. Now just wire the pins and see if the door is opening. Now we have two disconnected cables. Let's wire them to our relay. 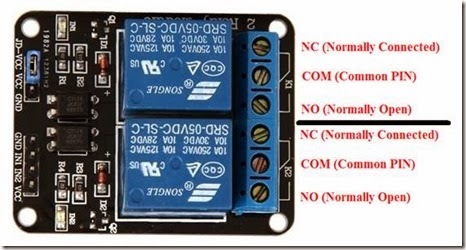 Each relay has 3 inputs, NC(Normally close), NO(Normally open), C(Common). Wire the cables to NC and C.
That's it! You're done! Try to send the open command from Slack again! After each restart of RPi, we have to run our node server again and again. To automate it we added a service, and that service runs our app with forever. Create a file sesame and put the following service code inside. Then add it to boot. You can either use Slack app on your mobile device to send open message, which is easy, or you can build an api that will send open message to sesame through Slack. When link is clicked, api bot(you need generate another bot on Slack) will send open command. If you're choosing the second option, it's better to use https connection and a token for your link(https://YOUR-API.herokuapp.com/open/TOKEN). After you've done it you can add the link as bookmark, or if you're iOS user you can use iControl Web to make an application for your door opener. All you have to do is to prepare a json file which has the buttons and links attached to them and send the file via iTunes file sharing. It works! Now we're using Sesame to open our door for clients, delivery people and also for us when coming to office. At the same hackathon we've also build neko which based on Github Hubot. For security reasons we don't accept any message to Sesame from anyone but neko bot. So when we want to open the door we're sending the message to neko, and neko sends the message to Sesame. Due to this Sesame's code is simple, secure and reliable.